Watches that monitor sleep quality. Skullcaps that gauge head injury. An infant bodysuit that sends temperature and breathing updates to a mobile device. Ear buds that track your heart rate. These are just some of the innovations now emerging in the hot new field of wearable technology. Currently estimated at $1.6 billion, the wearable device market is expected to grow to $5 billion in revenue by 2016, according to Gartner. If upcoming releases like Google Glass (scheduled for mass distribution later this year) prove as popular as smartphones and tablets—whose combined revenue topped $66 billion in 2013, according to the Consumer Electronics Association— wearable devices stand to become a major new realm in technology. Harvard Law Review article written by attorneys Louis Brandeis and Samuel Warren—sprung from concerns about the newly introduced handheld camera. People were afraid a newspaper could photograph them in a private space and publish it the next day, according to Andrew Serwin, a Morrison & Foerster Global Privacy and Data Security Practice Group partner. Smartphones let users quickly shoot and share images. Google Glass wearers can snap a photo by speaking a phrase. With each new device, consumers are receiving and transmitting more information that can be stored indefinitely and potentially retrieved, shared, or even sold by people unknown to the original user, especially if they are stored or shared on a centralized server. Fitness enthusiasts, for example, wouldn’t necessarily want their health insurance provider—which may base premiums on health status—to access their blood pressure readings. They presumably would want to know whether a fitness tech provider reserved the right to share information with a third party, Meister says. Medical devices, another transportable tech trend, can present even greater privacy risks. “Portable insulin pumps are smaller than an iPhone, regularly record insulin levels, and can transmit the information electronically to a website a patient and doctor use,” McLaughlin says. In some cases, the Health Insurance Portability and Accountability Act— which is meant to assure the privacy and security of medical data—may apply. In any case, consumers will want assurance that their personal data is protected from hackers. “Wearable technology developers ought to start thinking about the security of the data in the device and the security of data transmission sooner rather than later in the development process,” McLaughlin says. In October 2013, Google Glass enthusiast Cecilia Abadie was pulled over for speeding on a San Diego highway. She was also cited for distracted driving due to the Google Glass she was wearing. The citation was later thrown out of traffic court because of a lack of evidence that Abadie was distracted by—or even using—the device. Because Google Glass is still new, many people do not understand how it works. Over time, society may become more accepting of wearable technology, as it has with smartphones. A fitness club is a good example of a place where many people would not like strangers to take—or share—their the Sleeve Illustration by john ritter pictures. Many gyms warn against photos and recordings. But now that many consumers keep their camera-equipped smartphones on them at all times—including when working out, to listen to music—preventing all camera use can be challenging. 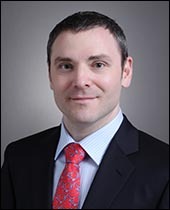 Gabriel Meister is a partner in the Technology Transactions Group in the New York office of Morrison & Foerster, and a member of the firm’s Global Sourcing Group. 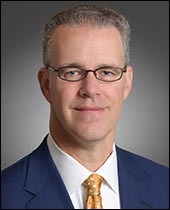 His practice focuses on a wide variety of high-tech and life sciences matters, as well as intellectual property issues associated with mergers & acquisitions and other high-profile transactions. He worked out of the firm’s Tokyo office from 2011 to 2013. Prior to his law career Gabe Meister designed and conducted bioinformatics and immunology research at Brown University’s TB/HIV laboratory. 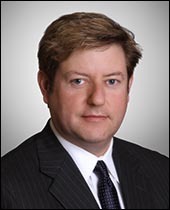 Andrew Serwin is a partner in the San Diego office of Morrison & Foerster, where his practice focuses on counsel and litigation involving privacy, cybersecurity, information governance, and information sharing. He is also a board member of the federally funded National Cyber Forensic Training Alliance (NCFTA), a conduit between private industry and law enforcement with the mission of identifying neutralizing cybercrime. Mr. Serwin is an advisor to the Naval Postgraduate School’s Center for Asymmetric Warfare, and is CEO and Executive Director of the Lares Institute, a think tank focused on privacy, information superiority, and national security issues.